A highly anticipated matchup would’ve be an understatement to describe the excitement towards tonight’s game. Rival games between Mount Hebron and Centennial rarely disappoint, and tonight’s game was no different. The Eagles won in an instant classic, 57-42, to move onto the 3A East title game. The start time for the game was 6:00 p.m., but the doors opened at 4:45 p.m. sharp. Anyone who knows the history behind these two rivals knows that if you want a quality seat, you shouldn’t arrive any later than 5:00. To start the game, Senior Hayden Ford missed his initial shot and the grabbed his rebound down twice before finally scoring the first two points of the game, asserting his presence in the post. After the Ford finish, the Vikings retaliated with a 5-0 run including a three-pointer and a swift pull-up jumper by junior Brandon Prox. With 1:54 remaining in the first, Prox nailed his first three-pointer of the night to take a 10-5 lead. However, the Eagles ended the first quarter on a positive note. Junior Matt Merkey had a very tough finish to score his first two points of the game, and on the other end, senior Kaleb Addisu closed at the quarter with a monstrous block. Mount Hebron took a very shaky 10-7 lead into the second quarter. Coming right out of the first quarter, the Vikings, who know how to make the long-ball, converted on a three-pointer to take their biggest lead of the game, 13-7. Later in the quarter, senior Sean Taylor couldn’t be contained. He nailed a two-pointer to pull within four points of the Vikings, 15-11. The very next possession, Ford had a commanding swat which led to a transition three-ball for Taylor, who went on a 5-0 run all by himself. Despite Taylor’s shooting, the Eagles still found themselves trailing by four points, 20-16, with just under four minutes remaining until the break. Senior Andrew Hohmann, who had been pretty quiet through the first half, erupted for four straight points, and the lead. He had back-to-back lay-ups to put the Eagles ahead 21-20. After his second lay-up, the Hebron head coach saw the tide was turning and elected to take a timeout. The timeout proved to be quite ineffective, as Hohmann had his third straight basket of the game coming right out of that timeout. Centennial went into the break clinging onto a 25-22 lead. The second quarter run for the Eagles was pivotal but they still needed to defend around the arc tighter. The start of the third quarter was not what the Eagles were looking for coming out of halftime. Their three-point lead quickly crumbled into a four-point deficit as Centennial saw the Vikings go on a 7-0 run. The Eagles offense was shying away from their game, which is aggressive cuts going to the basket. Instead, they were putting up a lot of outside shots and not getting a lot of action through the middle. However, it didn’t take much time for the Eagles to realize what needed to be fixed. Centennial went on a bruising 8-0 run. This stellar streak of unanswered points included no three-pointers, rather, only hard-fought two’s. Senior Shawn Hill started the run with a lay-up and picked up the foul. Senior Corey Eudell followed that up with a freaky athletic put-back off the glass, and Hohmann had back-to-back extremely tough finishes. The Eagles jumped out to a 33-29 lead with 3:34 remaining in the third quarter. After a clinic of basket trading, Hohmann launched and delivered on a three-pointer out of a Centennial timeout to push the Centennial lead to 38-36. Hebron, however, was the team taking the lead heading into the fourth, after a three-pointer gave them a 39-38 advantage. Senior Jaden Williams had a simple answer for what needed to happen in the fourth if the Eagles wanted to make it to the 3A East title game. “We needed to limit our turnovers and capitalize on our open shots,” said Williams. Evidently, the Eagles did just that. The fourth quarter was very unpleasant for the visiting Vikings. Their primary scorer, Prox, picked up his fourth foul of the game with 5:48 remaining in the fourth quarter. He had to sit for a little while; meaning the Vikings lost their biggest weapon offense. It proved to be very costly. In those first five minutes, the Vikings didn’t score a single point. Eudell hit the dagger with 2:44 remaining in the game. As he caught the ball at the top of the key, a defender came sprinting to close him out. Eudell pump-faked, sidestepped, and very calmly nailed the three-pointer to essentially bury the Vikings. He knew it was a crucial shot when it left his hands. “It was big to extend our lead and make us feel more comfortable with the time remaining. 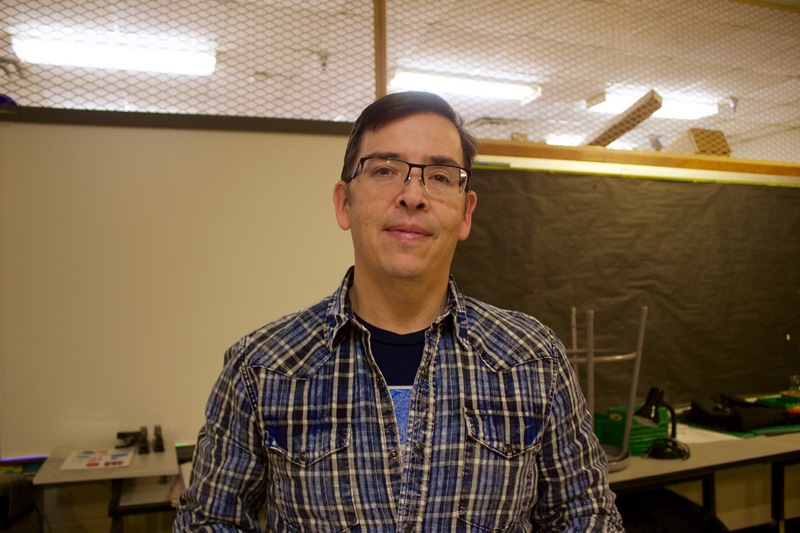 It was a shot I was really proud of,” said Eudell. It is challenging to put into words what this 57-42 East region semi-final game-win means to these players. As they have a chance to compete in the 3A East title game, and a possibility to make it to the Xfinity Center, Taylor described it simply. 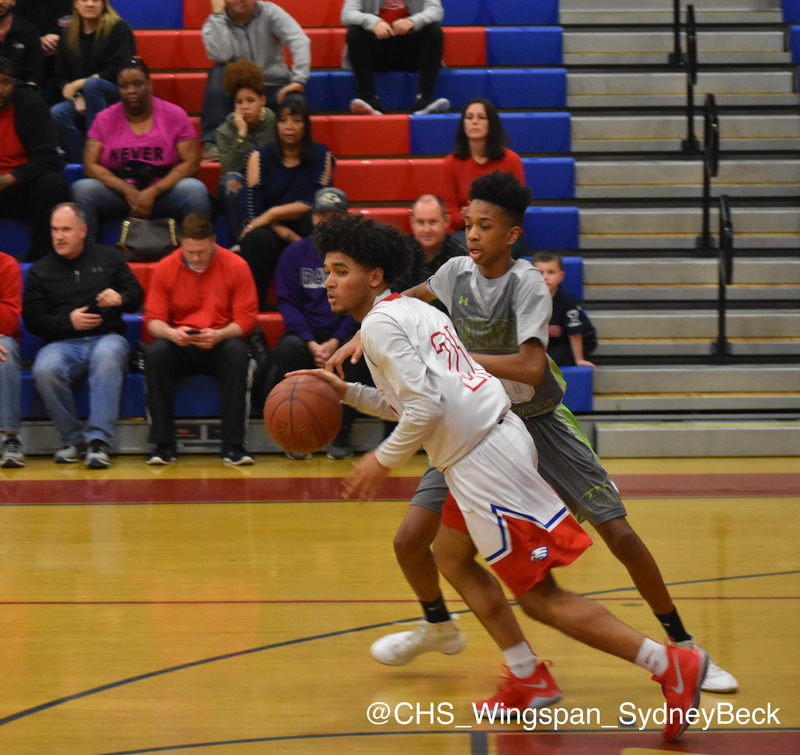 The Centennial Eagles Boys varsity basketball team survived what would have been a huge second-round playoff upset, beating the Atholton Raiders in dramatic fashion, 49-47. Senior Andrew Hohmann kicked off the game with a smooth baseline jumper, and from then on, Atholton had no answers for the Eagles offense. With 4:50 remaining in the first quarter, senior Hayden Ford threw down a thunderous two-handed dunk which sent the crowd into an absolute frenzy, and set the tone for the first quarter of play. It was basket, after basket, after basket for the Eagles. Senior Sean Taylor nailed a three-pointer to extend the lead to 10-4. Shortly after that, Senior Kaleb Addisu played “dirty,” dumping in his first two points of the game, converting on a tough finish in the paint. Junior Ryan Hollwedel sent a beautiful pass to Hohmann to connect for a transition lay-up to put the Eagles up 14-4. After a three-pointer for the Raiders, Centennial senior Corey Eudell got out in the fast break and ended the quarter with a lay-up, closing out the quarter with a 16-7 lead. The Eagles were dominating on the defensive end. Not only were they creating turnovers, they were creating offensive chances. Taylor started off the second quarter with a contested finish and Centennial’s lead was then 18-7. It seemed as if Atholton would never pick up their offense or even defense for that matter. However, Atholton cut the Eagles lead to 20-13 after nailing a three-pointer. The Raiders were gaining more ground offensively and creating more turnovers which is exactly what they needed if they wanted to win the game. Following that three-pointer by Atholton, both teams scored nine points each to end the quarter at 29-22, Centennial. Although Atholton’s offense clearly improved from the first quarter, they only shaved the lead down to seven points. Centennial’s offense went step for step with the Raiders but they lost some discipline on the defensive side. The Raiders had more open looks and were creating more chances but just could not close that gap. The third quarter was when the game started to take its shape. After Ford nailed one free-throw, the Raiders went on a 5-0 run, hitting a quick two-pointer, and then connecting on a three-pointer. Atholton cut the lead to 30-27, and you could feel the sense of fear rising throughout the gym. Shawn Hill and Taylor did all they could to not let the lead slip away from them. Hill hit a free-throw and Taylor hit yet another three-pointer, and the Eagles had a familiar seven-point lead again. Everyone watching knew that not even a seven-point lead was safe at this point in the game. Atholton was gaining momentum, and gaining it fast. After taking that seven-point lead, the Raiders answered with an impressive run of their own, rattling off nine straight unanswered points. They took their first lead of the game with 2:34 remaining in the third quarter, and now Centennial had a big challenge ahead of themselves. Atholton was trying to protect a 36-34 lead; however, it’s hard to do that when Taylor is hot from beyond the arc. He hit his fourth three-pointer and regained the lead, 37-36. The Raiders ended the quarter with a lay-up to take the lead back and headed into the fourth quarter with a one-point advantage, 38-37. The third quarter was all Atholton, as they were playing like a team that desperately wanted to knock the one seed out in the second round. The fourth quarter began with an Addisu free-throw and a Hohmann two-pointer to take the lead 40-38. The Raiders then nailed a three-pointer to take a one-point advantage. After minimal scoring and emotions running very high, Centennial’s season essentially came down to none other than Taylor. With seven seconds remaining in the game, the Raiders fouled Centennial’s Taylor. Atholton was in the double bonus so Taylor automatically got two shots. The Eagles were trailing 47-46 and all eyes in the gym were on Taylor at the line. Taylor sunk the first one to tie the game and a collective sigh of relief was heard from the Centennial fans. Soon after that shot, Taylor sinks the next one. That sigh of relief quickly turned into an absolute roar from the student section, Taylor had just nailed, arguably, the two most clutch points of his career. Hohmann now knows that it is one game at a time in these playoffs. “After tonight’s game, we now understand that no team can be overlooked or taken lightly, just because of what seed they are,” said Hohmann. The Eagles narrowly escaped defeat, extending their win streak to nine straight games, moving onto the third round of the MPSSA playoffs. On Wednesday, February 28, the Eagles will take on their biggest rival, Mount Hebron, at home in a win-or-go-home game. 36 delegates from Centennial’s Model United Nations club attended the Johns Hopkins Model UN Conference (JHUMUNC) in the Hilton Baltimore from February 8 to 11. Nearly 1,800 delegates, a record high, were present. Organized and staffed by Johns Hopkins’ students, the conference’s six sessions were an opportunity for high school students to simulate international relations while solving issues. The Centennial delegates, chosen for club participation, had been preparing since winter break to understand their topics. Their hard work came to fruition as they worked in committees, some with as many as 100 people, to write resolutions. In addition to the countless students from Maryland, delegates hailed from as far away as Minnesota and Wisconsin. According to the organizers’ remarks, there were even international students attending the conference. JHUMUNC, with its formally dressed delegates and professional air, appeared completely serious and rigid, but the laughter and stories shared outside the committee rooms proved otherwise. Highlights included a saxophone solo in the Legal Committee, a Darwinism-based plan in the Special Conference on the Environment and Natural Disasters, and the recurring theme of inappropriate acronyms for resolutions. Each delegate submitted a form with roommate, country, and committee preferences, which meant tough decisions on Kelley’s part to ensure all students got something they wanted. “It was really motivating to hear that people were enjoying their committee sessions, rooms, and the various JHUMUNC events,” Kelley said. In the hours between committee sessions, delegates had the opportunity to eat at various Baltimore restaurants, watch musical performances by Johns Hopkins students at a social event, and attend the Delegate Dance. During the closing ceremony, junior Robert Gao and senior Alex Na received the Honorable Mention Delegate award in their respective committees. Na explained that his initiatives in the United Nations Security Council Committee, including the simulated assassination of Kim Jong Un and support of foreign aid programs, likely factored into his candidacy for the award. Despite his strong points, his confidence wavered when it came to awards. Delegates left the conference with smiles, pausing to take last-minute pictures with friends and exchanging contact information. “I wish I could do it again next weekend,” Stipe said. 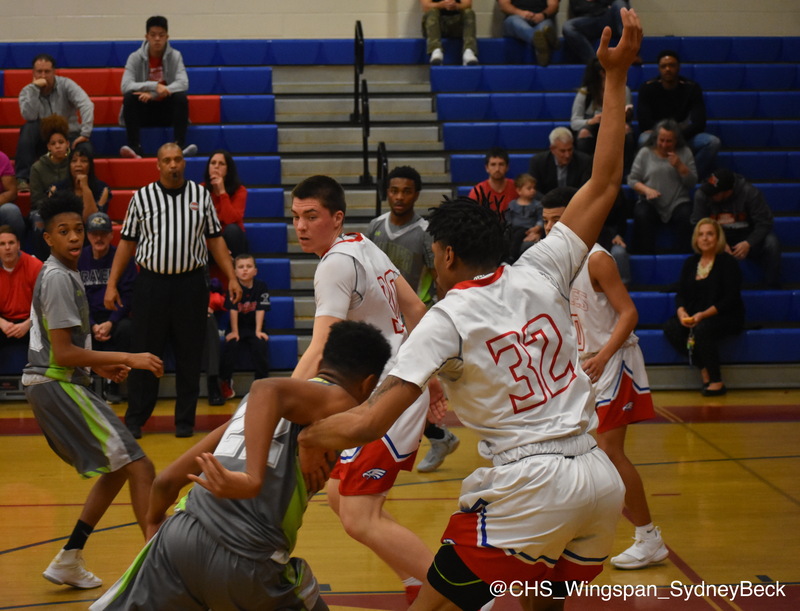 The Centennial Eagles boys varsity basketball team finished third overall in the county standings (10-6), as well as third overall in the league standings (14-7). 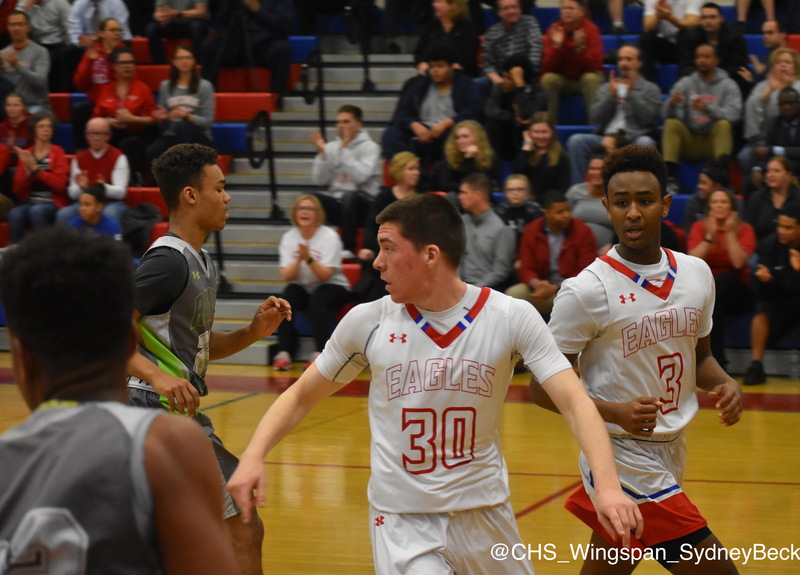 Despite their third-place finish, the Eagles placed top in their section for the Maryland 3A state playoffs, edging out in-county opponents such as Reservoir, Mount Hebron, Atholton, and Long Reach. Centennial has had quite an interesting ride to their #1 seed in the 3A East Section of the MPSSAA playoffs. Through their first eight games, the Eagles were 3-5, less than exceeding expectations. After losing their fifth game of the year to Reservoir High School, Centennial went on a three-game winning streak, adding three more in-county wins to their record and finally pulling to over .500 for the first time in the season. The winning streak, however, was short-lived, with a tough three game losing skid. All three losses came at the hands of in-county opponents, which didn’t help their race for the top seed in the east section of the playoffs. 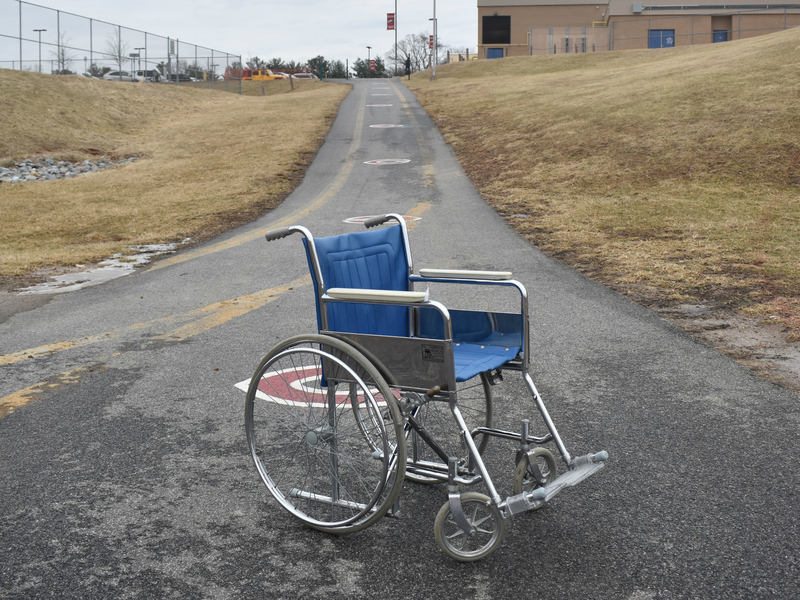 After Centennial’s loss to River Hill on January 22, a switch flipped. The Eagles have been on an absolute tear since then, rattling off nine straight victories to close out the regular season. The Eagles haven’t just been winning games, they have been dominating games. Centennial’s average margin of victory over their nine-game win streak has been just over 16 points and their closest win was a seven-point win over arch-rival, Mt. Hebron. The Eagles offense has seriously picked up. Centennial finished with four players in the top 50 of Howard County for scoring. Senior Corey Eudell is averaging 6.5 points per contest, Senior Hayden Ford is averaging 7.7 points per game, Senior Andrew Hohmann is averaging 10.0 points per game, and Senior Sean Taylor leads the way averaging 10.8. Thanks to the nine-game winning streak to close out the year, the Eagles not only secured the #1 seed in the East region, they have also clinched a first-round bye. Centennial has to win three games before they make it back to the promised land; Xfinity Center. Taylor, spearheading this offense, has not lost sight of what is important heading into these playoffs.